Sitting here this morning, as I run through my daily routines of reviewing sales emails, marketing proposals, SEO reports, and general news, I ran across something that made me stop and pause for a good minute. It was a talk by Steve Jobs from 1983. This was pre-Macintosh Steve Jobs. This was still the bright eyed Steve Jobs that had yet to be “removed from his managerial duties” by the board of his own company only to come back as it’s long lost savior almost a decade later. A Steve Jobs that had yet to earn the labels of “Futurist” or “Visionary.” This was just Steve Job, a 28 year old kid talking to design conference… yes a design conference. See, even back in 1983 Jobs saw that design was something that needed to be given equal attention when working with technology. It seems something obvious now, but if you think about technology in 1983, design was the last thing on anyone’s mind. PC computers were large briefcase size things that were gray or tan in color. Even in his talk Steve Jobs says “If you’ve looked at computers, they look like garbage. All the great product designers are off designing automobiles or they’re off designing buildings. But, hardly any of them are off designing computers.” Even in 1983 Steve was looking to change that. So, an argument can be made that 1983 was a hallmark year for technology and the internet as we know it today. But yet, with personal computing and the internet still in their infancies, Jobs could see what was about to come and where these things could lead. Listening to the full talk, plus Q&A after, you can hear Jobs talk about ideas and concepts that can be traced forward 25 years later into truths about how we use technology today and every day products like tablet computers. At the end of the Q&A, Jobs even addresses language and voice recognition, which has only now been adopted by the general public with Siri. So as I’m typing this we have reached the 1 year anniversary, if you will, of Steve Jobs’ passing. For all his flaws (and there were many) it is hard to deny his ability to see past technical limitations and look forward to what he knew was possible. I was never an “Apple Fan Boy” growing up. In fact I hated Macintosh computers with a passion all through High School and College only using them when all other options had failed. 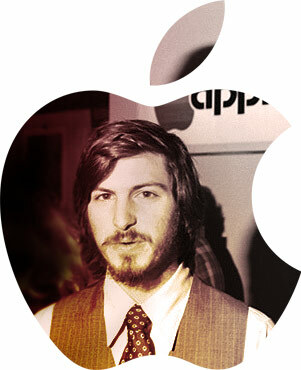 But I did respect how Jobs saw the world in his eyes and was able to rally people around that vision. Listening to this talk only adds to that respect. Thanks for reading my article and writing your own comments! I’m always curious to hear how Steve Jobs influenced people’s lives.